The movie Trumbo is a powerful reminder that democratic values and practices are easy prey in periods of fear and political hysteria. During the Red Scare in the late '40's and '50's, careers were ruined, decent, law-abiding citizens were jailed, families and friendships destroyed and lives lost. This is my family’s story during that era-where in my father’s words, “our lives were turned upside down for quite a while." Sam Rosen, the third and last child of Louis (Laib Razumm) and Belle ( Baila Kurtz) Rosen, Jewish refugees from near Odessa, attended the University of Wisconsin Madison where he studied with the noted labor economist, Selig Perlman. 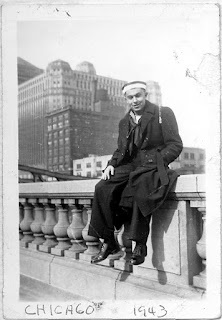 After graduating in 1941, he joined the Navy, participating in the invasions of Anzio and Northern Africa. Following the war, the GI Bill enabled him to pursue a graduate degree in economics at Harvard. It was an exciting time filled with possibilities. Hitler and fascism had been defeated. CIO organizing had succeeded in bringing millions of additional workers of all races into the ranks of labor, racial segregation was being challenged, the world's first consumer-based, middle class economy was emerging, and an independence movement was freeing many of the world’s colonized peoples. The Harvard economics department was home to many prominent economists. One was the “American Keynes,’ Alvin Hansen who helped create the Council of Economic Advisers and the Social Security System. Another, Joseph Schumpeter, best known for coining the phrase “creative destruction of capital" and developing the theory of innovation, had mentored doctoral student Paul Sweezy. Later as colleagues, their debates on the "Laws of Capitalism" became legendary among my father's generation of Harvard students. Sweezy eventually left Harvard to found the Monthly Review. Several of my father’s classmates were international students. Andreas Papandreou became the Prime Minister of Greece. Another, Pu Shan, was from China. 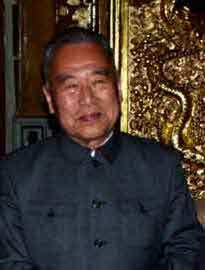 After graduation, he returned to his country, served as Chou En Lai’s secretary and in the 1980s helped reform the Chinese economy. He renewed his friendship with my parents in the 1990s when he returned to the United States as a visiting professor at Carleton College. Among my father's American born classmates was Robert Solomon who became the chief international economist for the Federal Reserve Bank. Solomon was an upperclassman who taught an economics class at the progressive Sam Adams School in Boston. Upon his graduation and departure from Harvard, Solomon prevailed upon my father to assume his teaching responsibilities at Sam Adams. 1952, the Rosen family had settled in Delaware where my father was employed as an assistant professor of economics at the state university. He liked his department chair, Charles Lanier, a labor economist, and Lanier apparently felt the same about him. Annual raises, summer grants and committee assignments followed. By 1954, with the aid of a low- interest GI loan, my parents purchased their first home in Brookside, Delaware. During the move, our lives were in my father’s words “turned upside down” when he and my four-year old sister, Laurie, were confronted at our old house by two FBI agents. The formally dressed men flashed their badges, demanding to interrogate my father. He was, of course, surprised. But he was not unaware of the nation's anti-communist hysteria. His sister, Gertrude, had been forced to resign her teaching position in the Baltimore Public Schools after she joined her American Federation of Teacher colleagues in refusing to sign a loyalty oath. A few years later, Gert's husband, Jimmy Ginsburg, was threatened with deportation. The FBI accused Jimmy, brought to the states as an infant by his immigrant parents, of being a foreign spy. 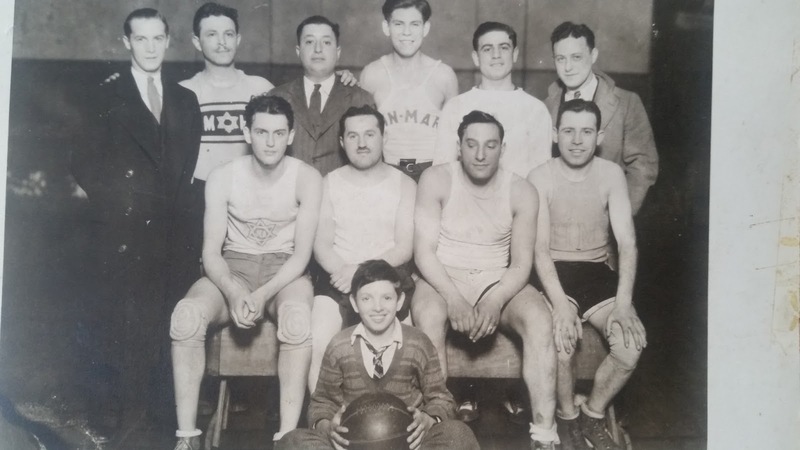 This in spite of the fact that this sporting man, know as "Captain Shmetena (sour cream)" because of his basketball prowess and his father's occupation as a "butter and egg man," held the national record for points scored in a basketball game in the 1920’s. My father, with daughter in tow, informed the FBI that he was too busy to talk. He suggested they meet later, a suggestion he came to regret. When the FBI called a few weeks later, they agreed to meet at our new home. The doorbell rang. Two FBI agents were at the door. My mother took my sister and me to the back of the house. The agents began to interrogate my father. It quickly became clear that they were confused, perhaps mistaking my father for his brother-in law Sammy, a decorated WWII veteran, coauthor of the hit song "Charlie and the MTA," who was active in the Progressive Party, the Boston Folk Society and the Creative Arts Workshop. Or perhaps they confused him with someone else. When they asked my father to provide them with the names of alleged subversives, he informed them that they were no longer welcome in his home. Before departing the agents threatened that if he did not comply with their request they would make life difficult for him. Several days later two agents confronted my father, ordering him into their vehicle.He refused. Shortly after these incidents, Lanier informed my dad that he had been accused of being a red. “That’s ridiculous isn’t it Sam,” he asked incredulously of his Keynesian colleague. But the damage was done. No longer was my father asked to serve on university committees. Lanier subsequently informed him that his contract would not be renewed. My father's close friend and colleague, Abe Shuchman, a professor of marketing at the University of Delaware, was fired. Ironically Shuchman went on to a career as a highly renowned professor of marketing at Columbia University. His contributions are still recognized through an award given annually in his name to a graduating student in the MBA or Executive MBA program. With his career at the University of Delaware ruined, my father re-entered the job market. He was hired by the University of New Hampshire (UNH) to which he devoted his professional life. Shortly after these events, dad visited Robert Solomon in Washington DC. In the course of their discussion, Solomon acknowledged that he had informed the FBI about my father's participation in the Sam Adams School, the very position Solomon had recruited him to. This was shattering news. Solomon offered excuses. They never spoke again. Sam Rosen taught at the University of New Hampshire until he retired in 1978. 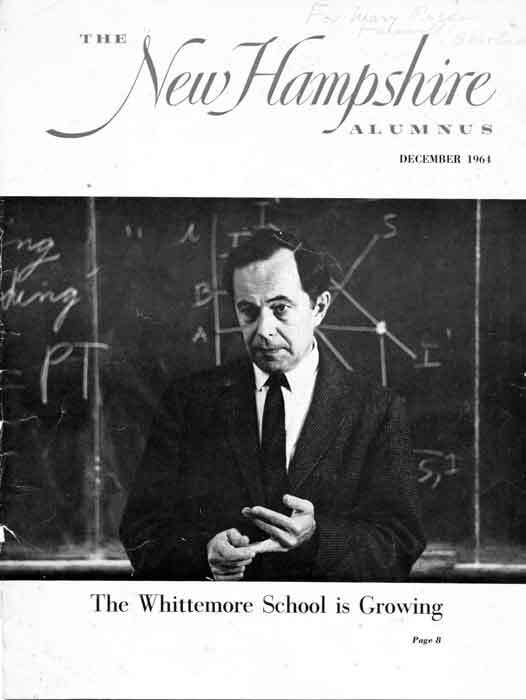 He led the effort to establish the University's Ph.D. program in economics ('71), helped organize the Whittemore School of Business and Economics ('62), and was a founding member of the university's chapter of the AAUP. He died in October 2004. The University of New Hampshire awards its outstanding graduate student in economics a scholarship in his name.